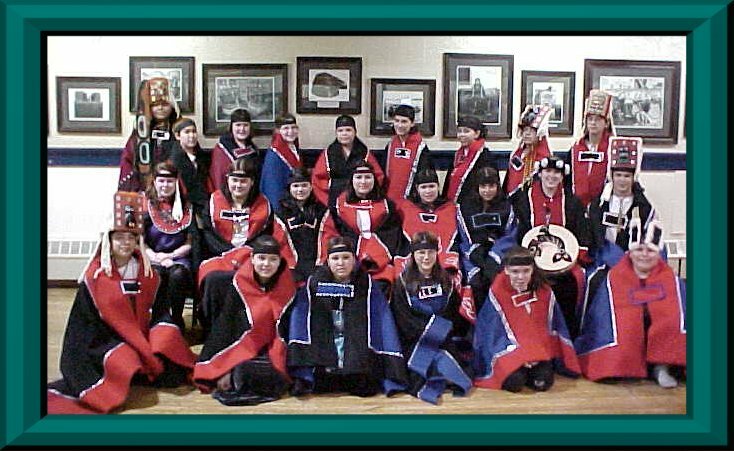 The Sitka Native Education Program (SNEP) began in September of 1974 as a non-profit organization under the name of the Alaska Native Brotherhood (ANB) Education Program. It was and still is funded by the Indian Education Act (IEA) title IX, the original amount of the grant was $74,000.00 and was increased by $50,000.00 soon after. The funds were to be used for the special needs of Native children. The main components were Cultural and Tutoring. The program was housed at the ANB Hall. A Parent Committee was formed to insure that the funds would be spent properly. There was a board with the ANB to work with the program. The cultural part of the program consisted of language, dance, beadwork and carving. The language and dance programs were held at the ANB Hall and there was a contract for services with the Southeast Cultural Center for the young people to learn how to do beadwork, wood carving and silver carving. Eventually funding was received from Johnson O'Malley (JOM) through the Bureau of Indian Affairs (BIA) and was handled through Sitka Tribes of Alaska. Funding was received from the CETA program. At that time the program was good sized. There was the cultural, tutoring, counseling work experience and van transportation programs. The uniqueness of SNEP was in the fact that there was not a duplication of services and it was not overloaded with administration. It is a good and solid program. This is the golden age for Native Americans. The Gájaa Héen Dancers became well known for their dancing prowess on a regional basis as well as statewide and even nationally. They are great ambassadors for Native Americans, Sitka and the state of Alaska. 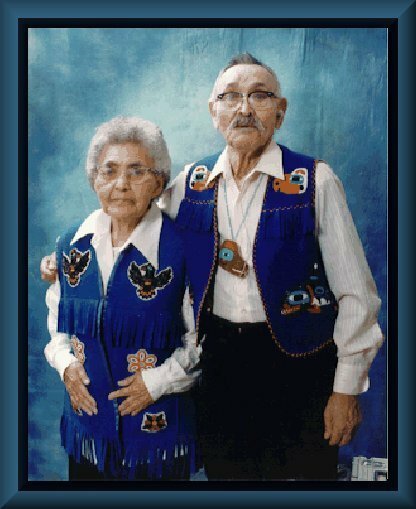 A very large part of the credit for SNEP goes to Charlie Joseph Sr., Kaal.átk', a very knowledgeable and traditional Lingít man who served as a consultant for SNEP until he died in 1987. His life story has been documented. He passed on many important songs and legends. As a result the program has a songbook and many legends and songs on tape. The Gajaa Héen Dancers follow a strict discipline of needing a 2.0 grade point average requirement, must have all necessary regalia and must have attended a certain percentage of all classes and/or fundraisers to be eligible for travel on one of the many trips they have taken over the years. We had a wonderful youth work program for many years but due to cut backs in funding it is no longer a part of SNEP. The young people helped with the cultural department assisting teachers with the language, dance and beading. Some of the former recipients of this program are now instructors in SNEP and in other Native programs in Southeast. We are quite proud of them. We have many reel to reel and video tapes that we are hoping to receive funding to develop and use. A book was written based on the first Elders Conference by the Sealaska Corporation called "Because We Cherish You" Three cultural students recorded the conference on reel to reel and cassette tapes which resulted in the book. It is a unique book in that as the book is opened you will notice that one side is in Lingít and the other is in English. The book contains many excellent speeches by respected elders around Southeast Alaska. A cookbook was compiled by Mary Pelayo entitled "Kaa Teix's Cookbook". It is written as a story containing many traditional Lingít foods. Mary was married to a Filipino man, they tried to figure out the various spices used in recipes, and they came up with some cross-cultural recipes. Mary taught in some Home Economics classrooms. Travel was an important part of the program for many years. There were big trips taken to small villages in which several parents traveled. Staying in a gym or classroom cut costs and taking food with us to prepare ourselves. It was a time of celebration, the young people were given a small stipend for one meal a day and recreation. The dancers raised money to supplement the costs. Some of the many places traveled are: Washington D.C., Hawaii, Point Barrow, Fairbanks, Anchorage, Kodiak, Yakutat, Cordova, Kake, Haines, Juneau, Angoon, Hoonah, Wrangell, Petersburg, Klawock, Craig, Metlakatla, Neah Bay, Lummi Reservation, Stanford University, Los Angeles, Seattle and Oklahoma. Some of the activities attended were Native Emphasis, World Eskimo Indian Olympics(WEIO), National Congress of American Indians(NCAI), Alaska Federation of Natives(AFN), Bilingual Multicultural Conference and the Southeast Fair. Most recently the dancers went to WEIO in Fairbanks in July of 2001 and took third place in the all-over dance competition. Good job! We're proud of you! Because of the many experiences that SNEP has provided the young people many have become more confident and able to express themselves. We have had many professionals who have come through this program. Some are doctors, nurses, lawyers and teachers. The major problem we face today is a reduction in funding, we are unable to pay adequate salaries or benefits for our employees therefore it is hard to keep the staff. They regretfully move on to other jobs that will help them pave their future. If the language is to continue the time is now to help the young people to become fluent in the language. We help children on a preschool level by offering limited tuition assistance and offering rides to and from school. We also provide rides for the cultural and tutoring students. If IEA and JOM had not provided SNEP with the funding our language, songs and stories just might have already been lost.